1. Go into filters, and save a new filter. 2. 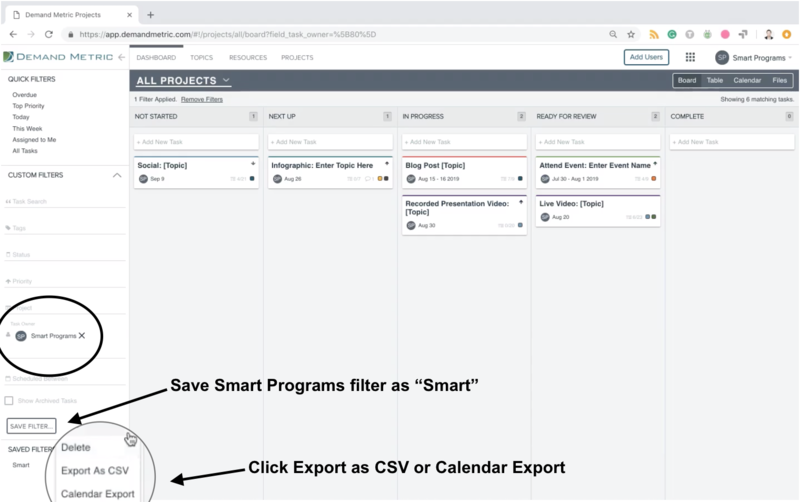 Click on the Smart Projects filter, and name the new filter Smart. 3. 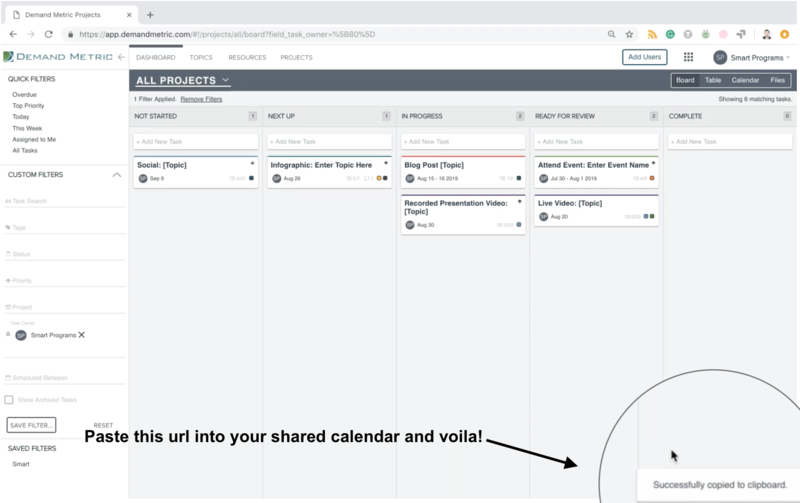 Once you create a new filter name, you’ll see four options pop up: Edit, Delete, Export As CSV or Calendar Export. 4. Click Calendar Export, and you’ll see a pop up that says, Successfully Copied to My Clipboard with a url. *Similar instructions apply to export to CSV file. With all the projects that you have on the go, learn how to use tags to stay organized!